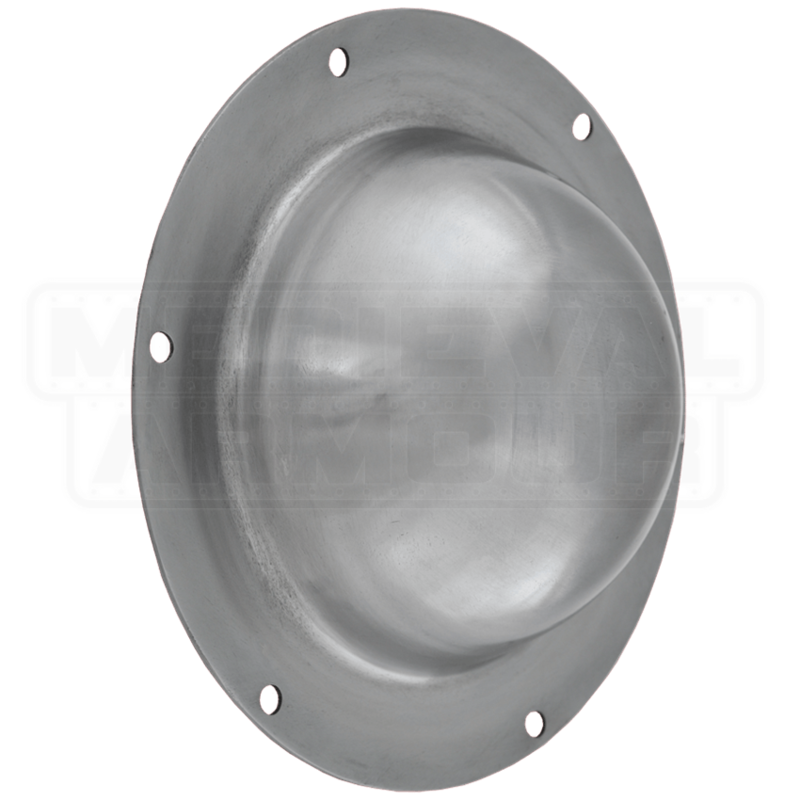 This shield boss is made of spun 14 gauge carbon steel and is polished to remove the spinning marks. This steel boss is ideal for making your own shield. 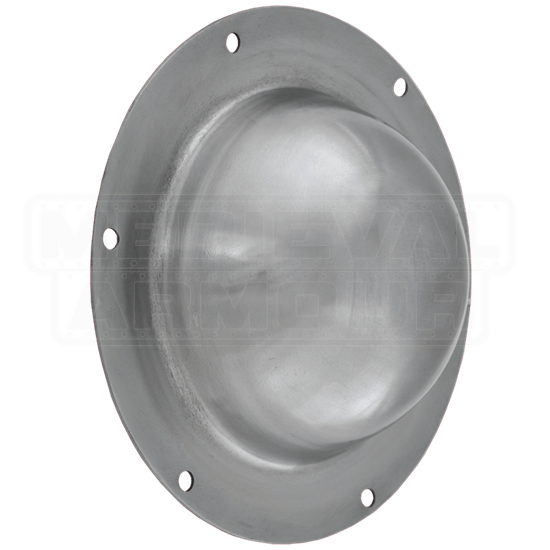 This steel shield boss has 6 holes for mounting and weighs 9.6 ounces. The actual dome of the boss is much smaller than in the photo. Needed for props in a wedding fast or I would have exchanged it with a bigger one. Since the dome is small I had to sand down my handle more than I wanted to be able to get my hand to fit in the boss. If you have large hands, go with a bigger boss. Other than the size of the dome it is thick and seems pretty sturdy. I hit them with hammers and a few bladed weapons once they were on the shields to give them some battle wear, very strong and seem as if they can take a decent blow. But again if I was to replace them I would go with the 7.5 boss. This boss is for small shield maiden hands. If I could post a photo of the shields I would. They were made for props but would take a good beating!